Immigrants make up a sizeable proportion of the U.S. working-age population: 19% in 2013, expected to increase slightly to 22% by 2050. Among U.S. immigrants, Latinos are the largest racial/ethnic group, accounting for 47% of immigrants (by comparison, 25% of immigrants are Asians/Pacific Islanders). 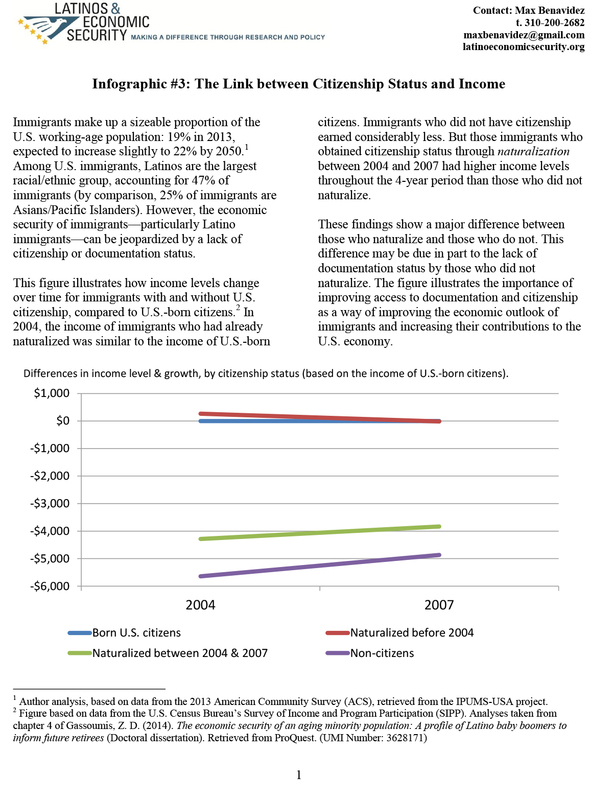 However, the economic security of immigrants—particularly Latino immigrants—can be jeopardized by a lack of citizenship or documentation status.